"Everything always returns to the beginning"
The Forbidden City (known back in the 50′s and 60′s as Peking), is situated in the capital of China, Beijing. It is a rich architectural structure of Chinese history. In the past it was known as the Forbidden City but today it is referred to as the Imperial Palace. It took 15 years to complete and has housed 24 emperors from 1421 to 1911. The Forbidden City is also the place where Mao Zedong proclaimed the birth of the People’s Republic of China on October 1st, 1949 from the Gate of Heavenly Peace. Today it is a home to many priceless artifacts and a museum to many tourists. The Forbidden City is listed as a World Heritage site and contains a palace complex with 9,999 rooms—nine being a lucky number for the superstitious Chinese. 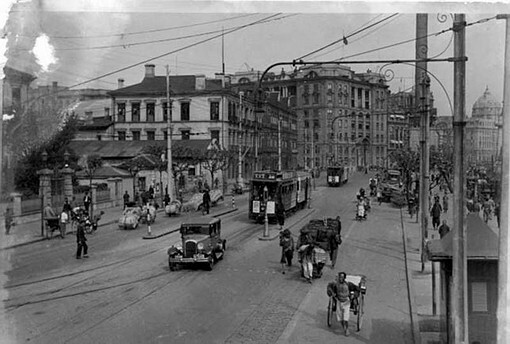 The French Concession was an area in Shanghai that expanded over many districts. It began mainly as a place for French businessmen to meet up and trade. Eventually, the French Concession attracted people of all different races, and soon became a highly desirable area to live in. The French Concession came to an end in 1946, when it’s owner surrendered it to the Japanese in 1946. 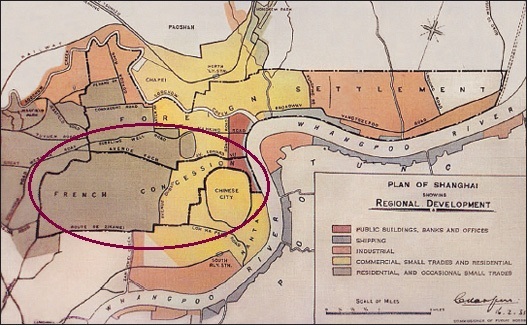 Now called the Old French Concession, it no longer exists as a whole, but still remains, just on a smaller scale. It is now mixed in with the modern day Shanghai, and serves as a reminder of the past. Click here for a brief history as well as some pictures of the Old French Concession. Click here to learn more about the French Concession. Fukien is now known as Fujian, a southeastern province in China. 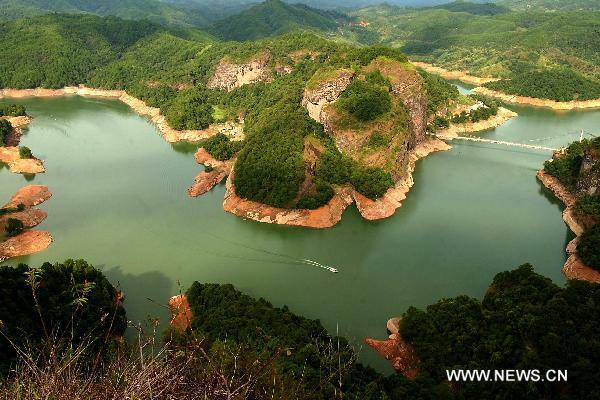 It is often described as “Eight parts mountain, one part water, and one part farmland.” It is most known for its beautiful and natural landscapes. Click here to learn more about Fujian’s land, people, economy, government and society, cultural life, and history. Click here to learn about the history of Fujian. Click here to learn about the landmarks in Fujian. The Garden Bridge’s true Chinese name is Waibaidu Bridge. The Waibaidu Bridge was actually built 100 years ago, but was made of wood, not steel. The steel bridge that we know today was constructed in 1907, and became the first steel bridge ever in China. The bridge has remained the same since it’s steel construction, but was deconstructed on 2008 for renovation. It has since been reconstructed and remains a landmark on the Bund that many come to enjoy. Click here for a brief introduction to the Waibaidu Bridge. Click here to learn about it’s history as well as see many pictures of the Waibaidu Bridge, past and present. Click here to read up on the Waibaidu’s recent renovation in 2008, and also some interesting background on this historic bridge. The Garden Hotel used to be the French Club where Pearl and May would attend parties. The French Club, or Cercle Sportif Francaise, opened in 1926 and now forms part of the Garden Hotel. The French Club had a less exclusive membership policy than other clubs in the city. It allowed women to join (only 40 at a time) and was the first foreign club that permitted Chinese. After the People’s Republic of China emerged, the French Club was used as a People’s Palace. Chairman Mao Zedong had his stay here whenever he visited Shanghai. Some of the French Club’s features included an indoor swimming pool, multiple tennis courts, and a grand ballroom with a stained glass elliptical ceiling. Now, it is a 33 story high building with a seven-acre garden. This hotel is favored by state guests and business executives. It consists of 500 guest rooms, including 22 suites. Click here to visit the Okura Garden Hotel’s website. Too look at a map of the place, please click here. The Great Hall of People was part of the “Ten Great Constructions” for the 10th anniversary of the People’s Republic. President Mao Zedong was the one who gave the named the building when he saw all the volunteers who helped build it. The Hall was built in 10 months, from November 1958 to September 1959. Click here for a website that gives a brief introduction to the Great Hall. Click here for a website dedicated completely to The Great Hall of the People. Includes information on the history, the different rooms, structures, and more. The Great Wall of China is one of the greatest wonders of the world. With over a history of 2,000 years, this wall has been through many dynasties undergoing various constructions. The Great Wall stretches 4,500 miles from east to west in northern China to protect the northern borders from attacks. 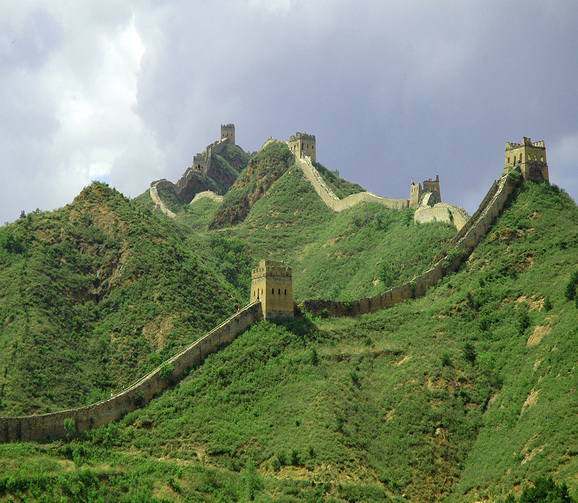 Click here to learn about the Great Wall and the well known sections. 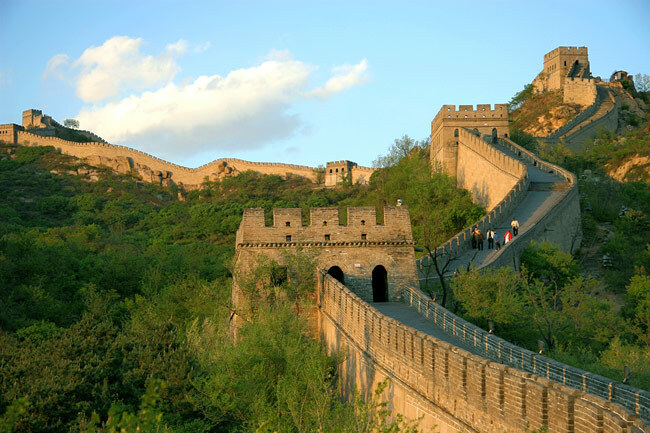 Click here to learn about the history and design of the Great Wall. Click here to learn about the history of the Great Wall such as its beginnings, secrets, defense, costs, changes, and history during different dynasties. 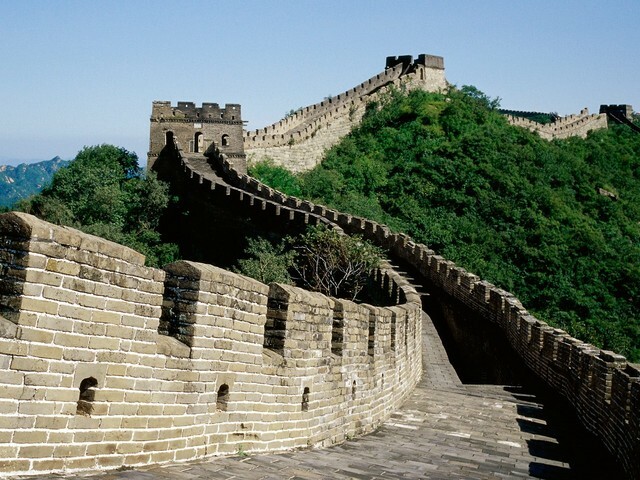 Click here to learn about the Great Wall and background information. 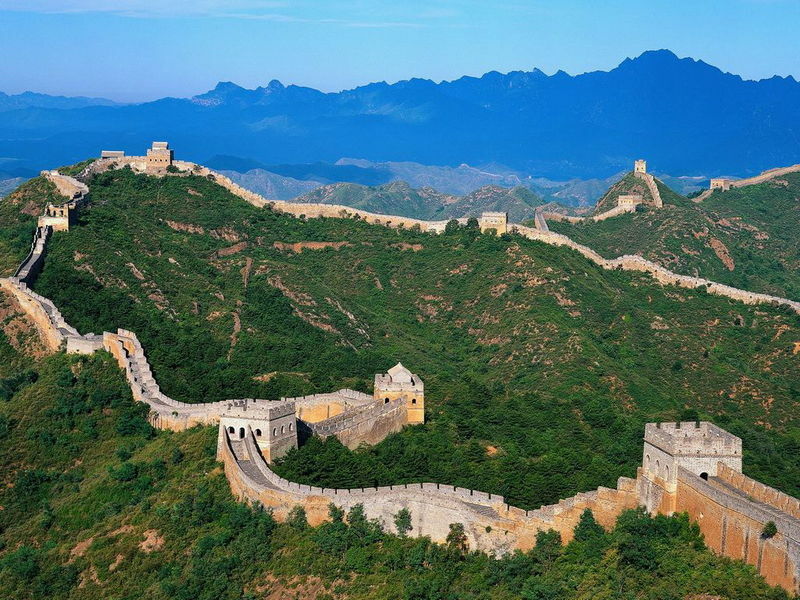 Click here to learn about the Great Wall by time period. To celebrate the New Year, thousands of people climb restored sections of the Great Wall.